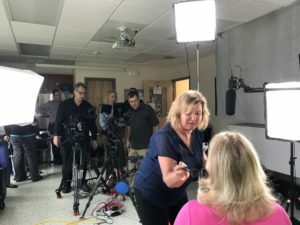 When working on set for a video production company, there will be a lot of different lighting equipment that you will work with. It is important to listen carefully to your Boston Videographer when they tell you how to set something up. Handling equipment is an important roll for anyone working on set. Lighting is a big part of a shoot set up or take down. 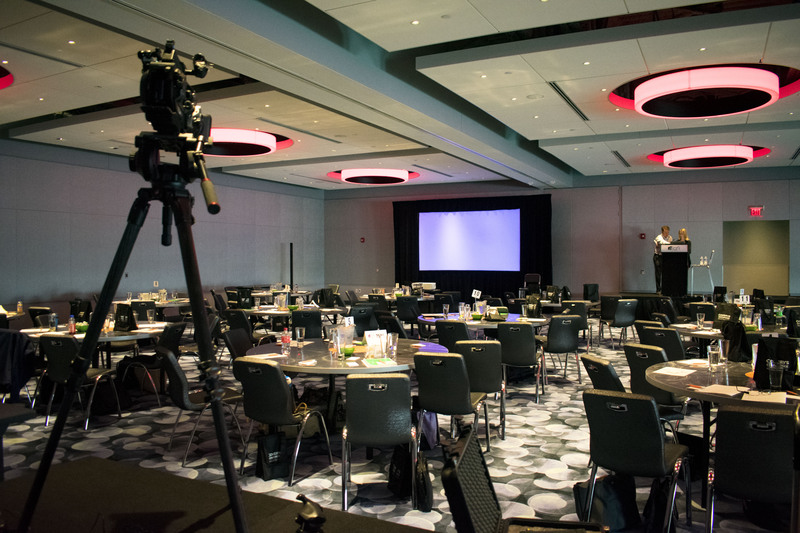 Making sure to put care into the set up of a lighting system is the best way to ensure everything will run smoothly. 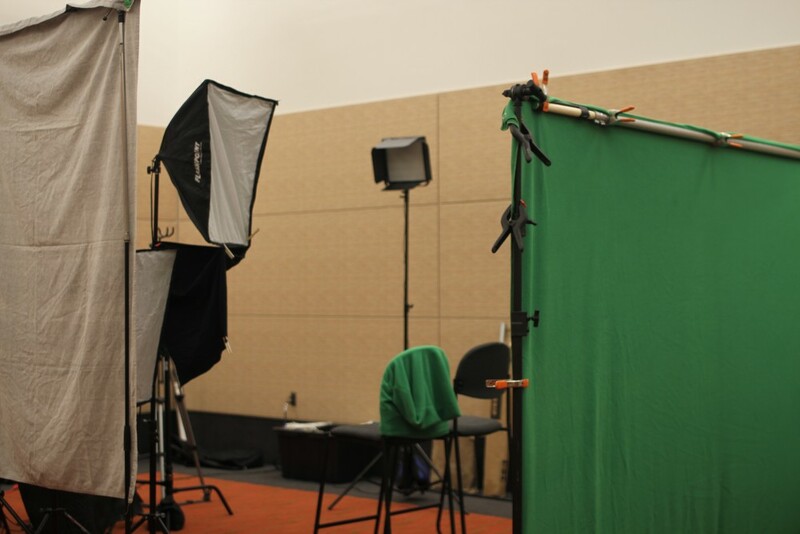 Boston Video Production works hard to prepare sets that are high quality for videos. There are many ways to set up the lighting system when it comes to your different video shoots. 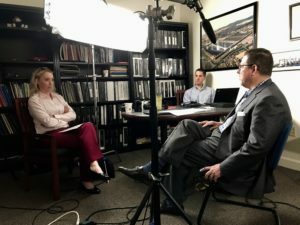 One of the most used lighting set up for our corporate video ideas is the three-point lighting system. This system requires three lights, and you want to make sure you are careful with each one with placement and setup. Three point lighting is a triangle set up that places the subject in the middle to help illuminate them for your Boston Videographer. Working to create a shadowless shot is all about placement and angling toward your subject. 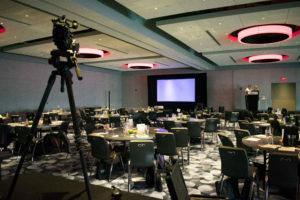 You may also be using a corporate video idea that includes shadows or silhouettes, which can be created from where you place the lights. Make sure to use the natural light as you can, but also angle the lights you use to detract from any harsh lighting. Set up is a crucial part of the shoot date. The video production services all revolve around the quality of the shoot, and with the right lights and set up you can get great footage. 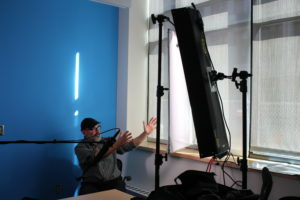 Some of the shoots that you go on when working in Boston Video Production will have a gaffer. The gaffer works only with lighting. Helping to set up and create beautiful shots is the main goal for this person on set. 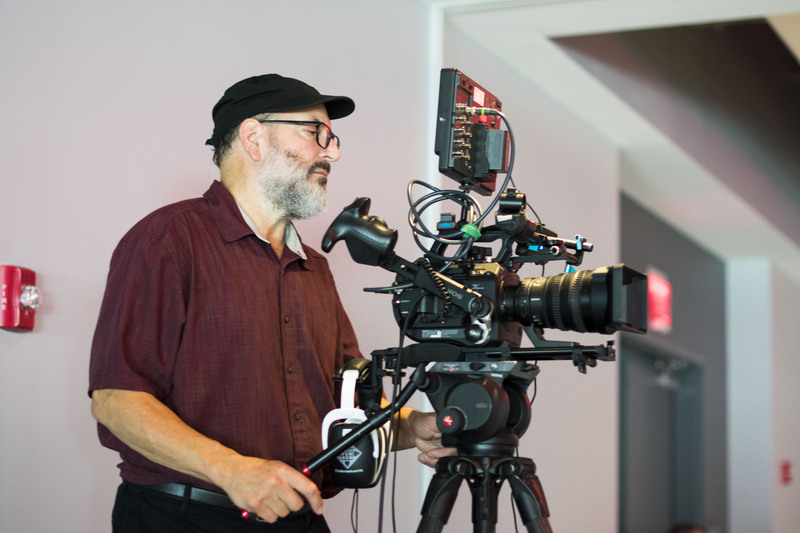 Your Boston Videographer and Gaffer will work together to place the lights around to create the best view. Sometimes you may wear gloves to keep the equipment clean, and not disrupt the area where the set is being built. Set up and take down is one of the most important parts of the video production services and a way to secure a successful shoot. No matter what your corporate video ideas will lead your company to create, lighting will be a necessary source of success. Working in Boston Video Production company will allow you to learn more about all aspects of a video shoot. Keep track of everything you learn, and soon you will be creating videos on your own! 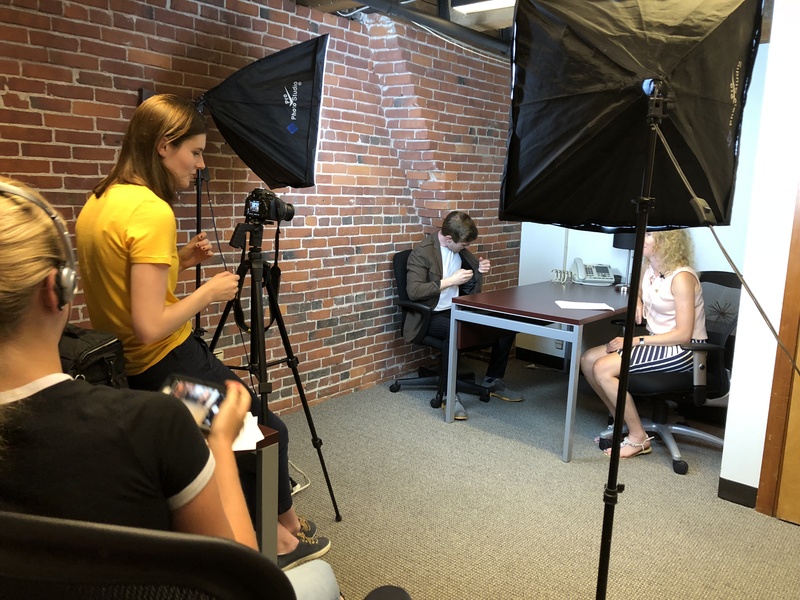 This entry was posted in Boston video production services and tagged 3-point lighting, boston video production company, boston video production services, Graffer, Lighitng, on set lighting, video production company on July 25, 2018 by Nicolette Gosselin. Should I Invest in a 5k Camera? Videos are all about the visuals, and you want to make sure your video is up to par for the viewers. 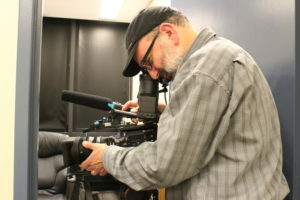 Our Video Production Company in Boston shoots everything we do in 4k and 5k. There are many options for display when it comes to choosing your camera and what you want to shoot in. Your Boston Videographer might have a preference of what they want to use for their shoots, but today we are going to focus on 4k and 5k. What is 4k and 5k? Simply stated, the names 4k and 5k refer to the width of the footage, which means approximately 4,000 and 5,000 pixels. Being broken down further, 4k has a total pixel count of 9,437,184 with dimensions of 4096 x 2304. 5k is much larger than that and has a total pixel count of 14,745,600 with dimensions of 5120 x2880. Although 5k is larger, it isn’t always someones first choice. 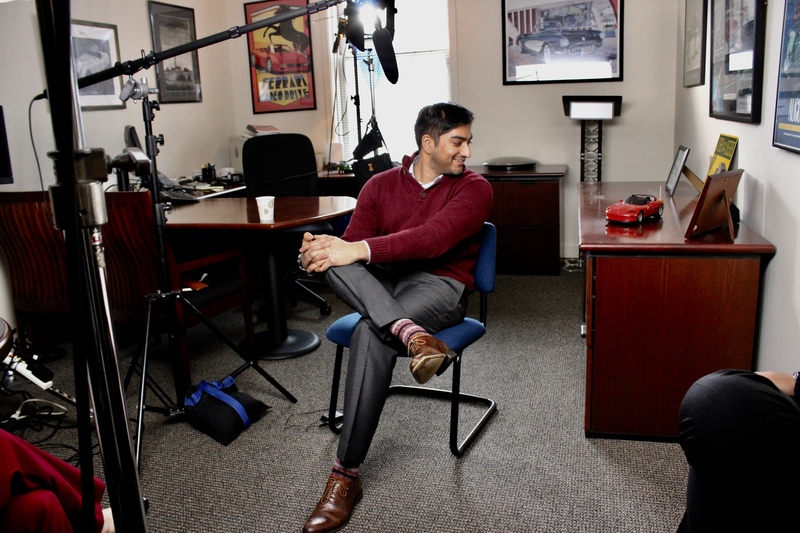 Your Boston Videographer will know what resolution will be best for the shoot you are working on. What’s the Difference Between 4k and 5k Cameras? 4k and 5k resolution are both used widely within the world of video production services. Each change in resolution throughout the years have allowed for videos to have more detail and become larger in size. The biggest difference between 4k and 5k are based on the pixels and size of the footage. There are many different resolutions that you can choose to shoot in. One thing you want to make sure is that it comes out clear. Both 4k and 5k will give you a clear and detailed shot. As everything in technology and video are advancing, it is bringing people to upgrade their video cameras. The last thing any Video Production Company would want is to be creating videos that no longer pair with their audiences devices. Although it may be hard to change with the times, you want to upgrade before you miss the mark. 4k and 5k are very popular within the video production world. There may be many reasons your Boston Videographer loves the display he or she shoots in. It is always important to use what you are most comfortable. Both displays are wonderful and create magic for any shoot. We stay true to the 4k display for shoots with our Boston Video Production Company. 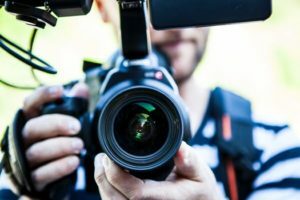 This entry was posted in Professional Videographer, Uncategorized and tagged 4k, 4k vs 5k, 5k, Boston professional videographer, Boston videographer, is 4k or 5k better, top video cameras, top video production company on July 12, 2018 by Nicolette Gosselin. 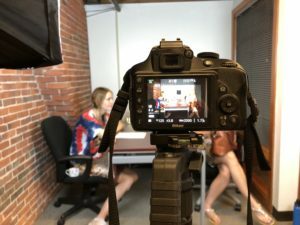 Take a look inside the bag of any Boston Video Production companies and you will find similar things. Each year with technology advancing, some equipment becomes more out of date and requires an upgrade for your camera bag. There are many essential pieces of equipment needed for a video shoot, and each year there is always a newer version coming out. Every professional videographer will have their own selection of favorite equipment that can be found in their bags. There are a lot of things that you want to remember to pack in your bag for your next shoot. Depending on the person, you may have different brands or style equipment but they all have similar equipment. Whether you are a Sony or Canon person, you want to make sure you have a reliable camera for your shoot. DSLR cameras have made lots of waves and are great for shooting video. Now that the camera quality is at 4K level, it is easy to get great quality shots on your DSLR. Whatever camera you choose, we would suggest full frame like the Sony a7r mark 2. It is the perfect camera for all your shoots. It is always a good idea to bring a few different lenses with you when shooting on your DSLR, just to be sure you can get every angle. The go-to lens that most Video Production Companies in Boston would suggest is the 35mm 2.8 prime lens. The prime lenses have a great sharpness and focal length. It also is good when you don’t have to worry about zoom, because you can do that in post. A few other lenses you may consider are the 16-35 f4 for a wider shot or the 55 1.8 if you are looking for more zoom. Another thing that will help with your shoots is a ND filter, which will help soften an harsh lights when you are shooting. Working with a DSLR or any camera, one of the biggest worries is shaky hands. It is very important that you pack your tripod to keep shots still. It is nothing to worry about if you have shaky hands, every professional videographer will use tripods. When choosing your tripod, you want to make sure you think about weight and height. You want to have a tripod that is not hard to carry and easily to transport. K&F Concept has great tripods that fold down to fit into smaller bags and are light weight easy to carry. It is always a good idea to add light to your shoot in order to better illuminate the subject or products of your video. When you are working on your own instead of with a professional video production crew, it is better to think small. A simple light that can be attached directly to your DSLR is a great piece of equipment to bring with you for a shoot. A 176 LED light is a powerful source that can be perfect for all your different shoots. With an easy way to add in diffusion, it is a very user friendly light set up. Every professional videographer’s bag will look different from one another because each person has there own special touch. Doing shoots on your own or for beginners it is a great idea to look into different pieces of equipment that we have listed above. The video production services are changing each year but there are main pieces of equipment that some people will hold onto for a long time. Find those things that work best for you and start making magic. All video production companies Boston started from something small and have only grown bigger so keep on recording! 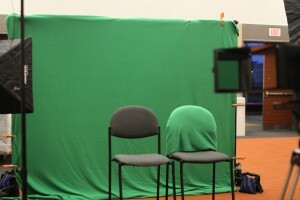 Skillman Video Group LLC specializes in video production Boston. Call us anytime at 1-800-784-0140. 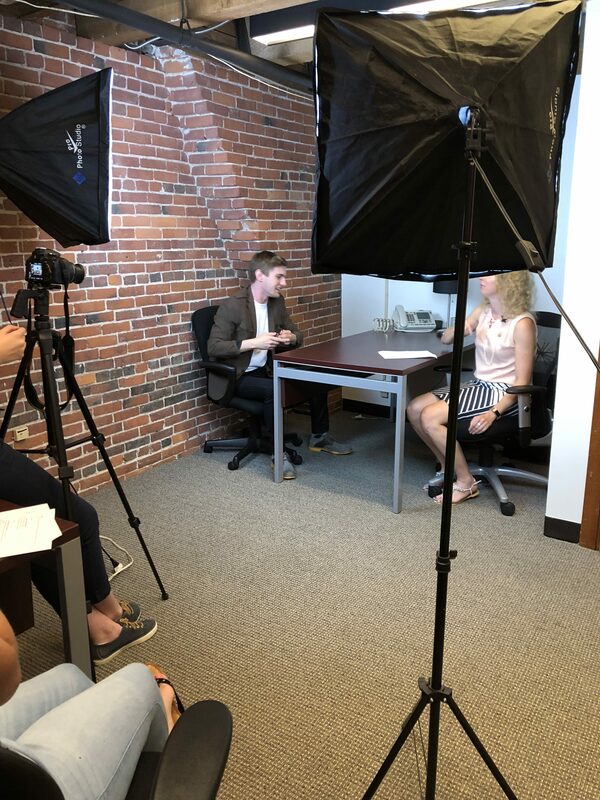 This entry was posted in Boston video production services and tagged boston video production company, boston video production services, Corporate video production company, DSLR Camera, New England video production company, packing a camera bag, top video production company, video production equipment on May 30, 2018 by Nicolette Gosselin.